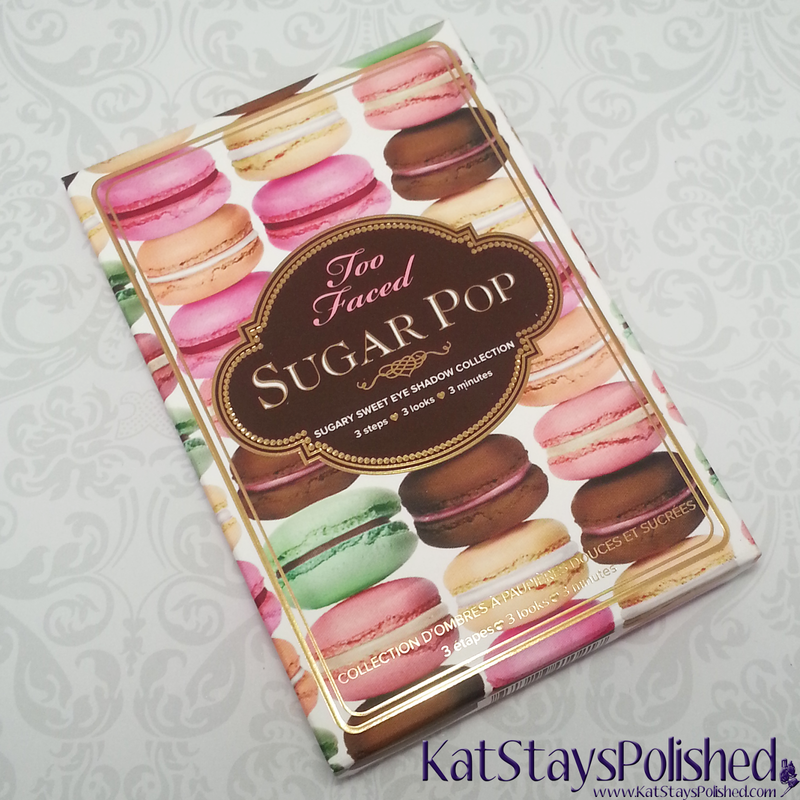 Today I have the Too Faced Sugar Pop Palette!!!!! I knew I had to get my hands on this as soon as possible. I mean, come on, the packaging has macarons on it and the shades in here are super sweet, no pun intended! I got mine from ULTA for $36. 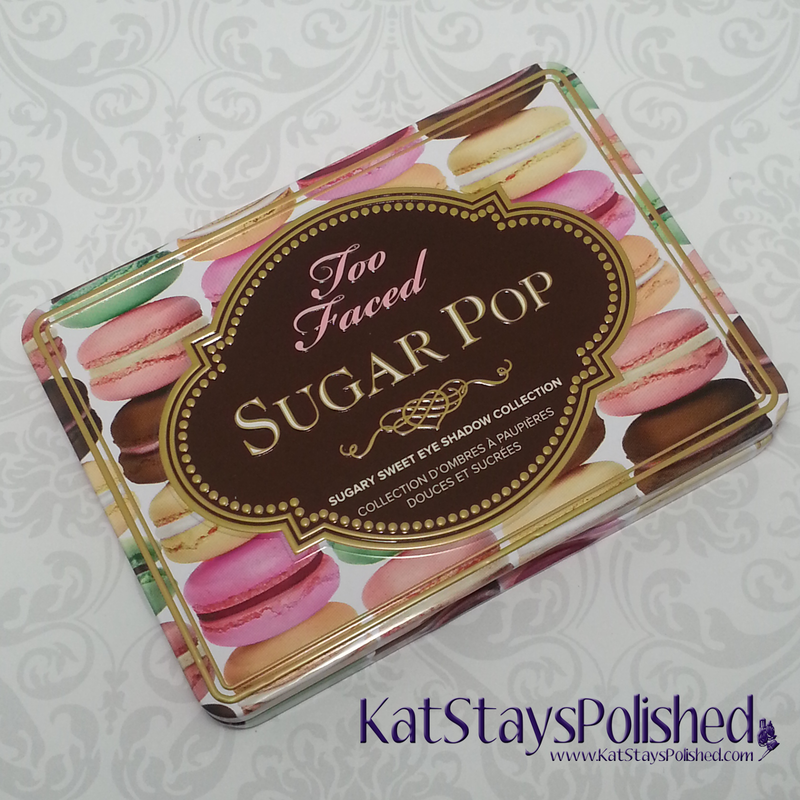 I always love the packaging from Too Faced but this one has to be my favorite. I absolutely love making and eating macarons. This palette screams "Kat!" The colors in this palette are also just stunning. The one that caught my eye the most is Blue Raspberry. 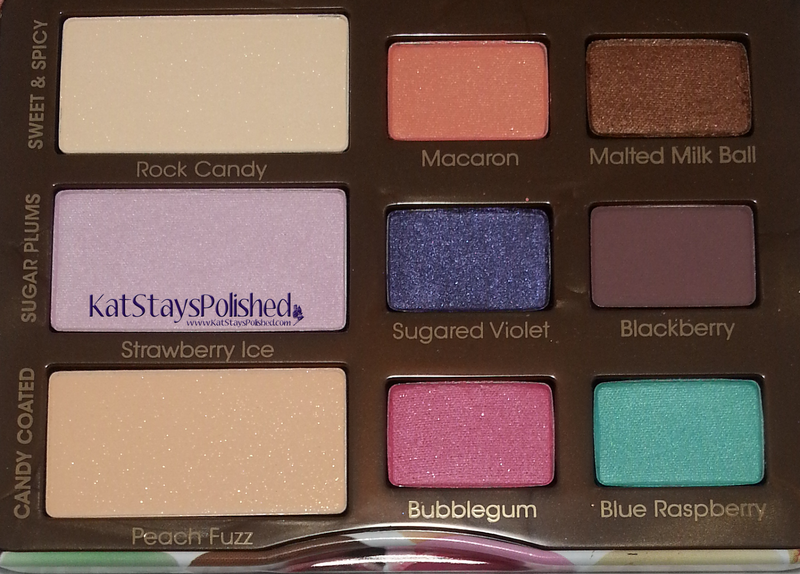 Once I get back to a normal routine with little Nat, I'm going to dive right in to this palette for sure. I can't wait! 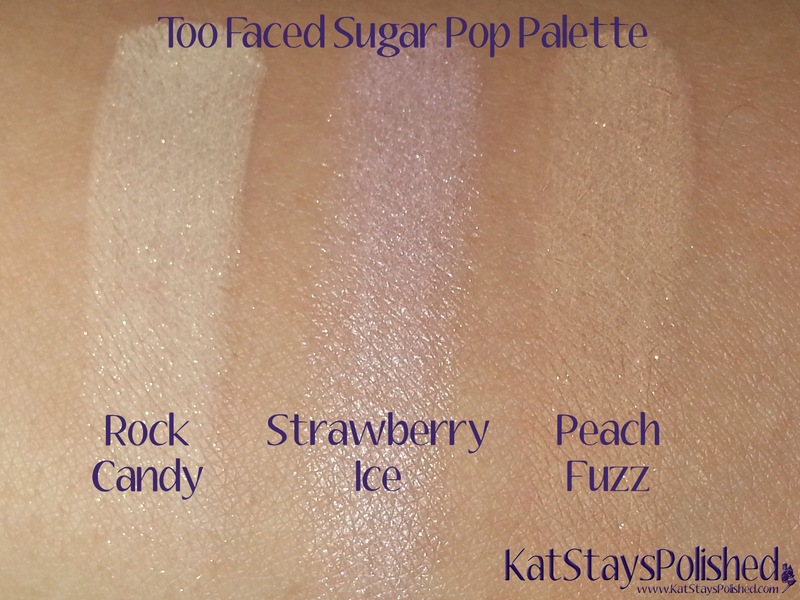 For now, here are some quick swatches. 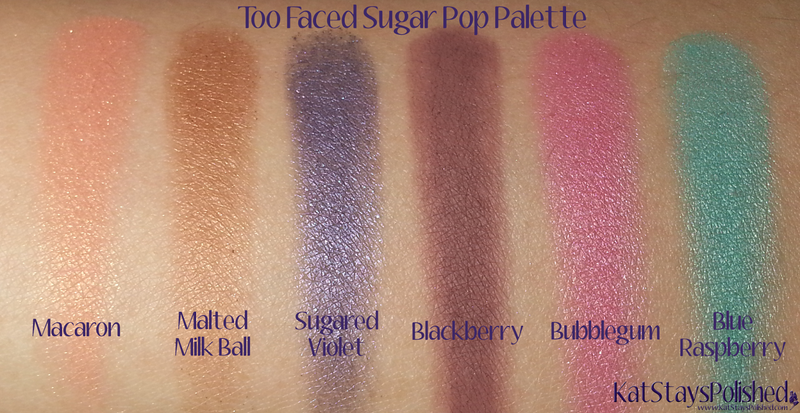 The consistency is what you would expect from Too Faced and the pigmentation is great. all of these are swatched without a primer underneath. Fun palette with some great pops of color.